Entertainment Earth just received our Adventure Time Nesting Dolls in their warehouse! The first shipment is hot off the truck and pre-sold out - don't worry, more are coming soon! Order yours now. Bif Bang Pow! brings you Adventure Time's modern animated characters re-imagined as classic collectible toys – and they’re newly in stock at Entertainment Earth! 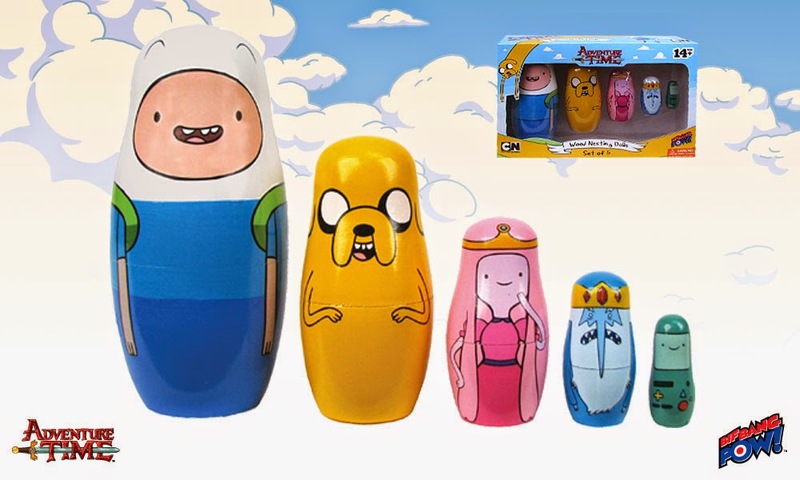 Similar to traditional Russian nesting dolls, the brightly hued wood dolls in this Adventure Time Wood Nesting Dolls - Set of 5 range from 2 to 6 inches tall. Each doll is hollow and splits open so they can "nest" one within another. See all our fantastic Adventure Time products at Entertainment Earth!